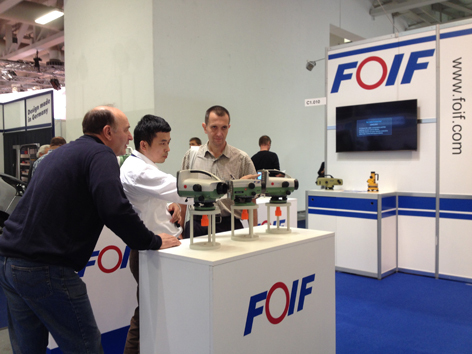 FOIF at Intergeo 2014 | Suzhou FOIF Co., Ltd. 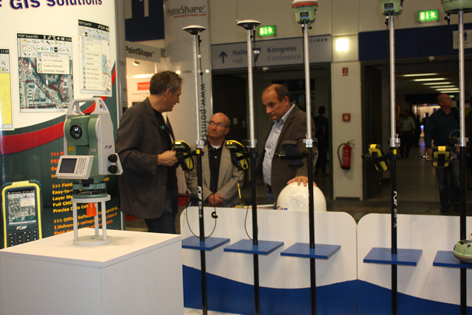 There will be around 500 companies from 30 countries include the media participate the InterGeo 2014 which hold on Berlin from Oct 7 to 9. 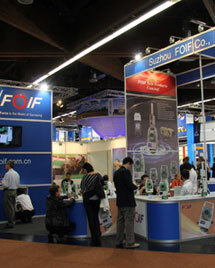 From 92 countries, more than 16000 visitors join this exhibition. 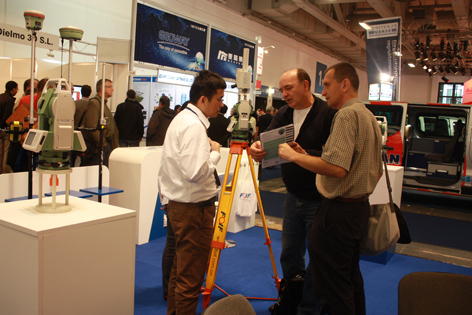 This year is the 20th anniversary for InterGeo. The topic of this year is save the date. 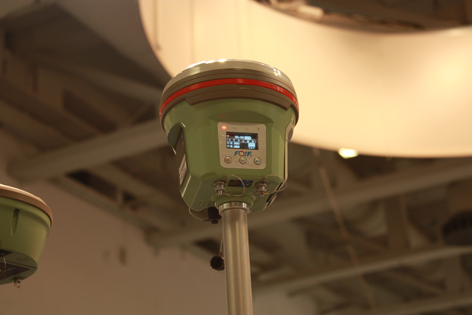 Depend on the date collect from point to cloud, the equipment also develop from single point measurement to huge points. The Survey definition is extend. 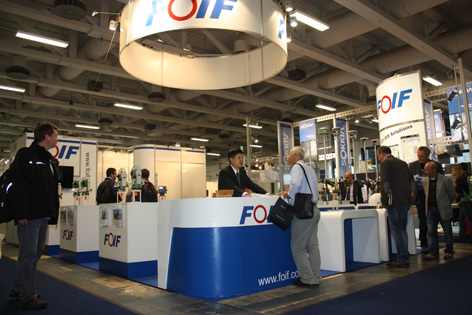 As last ten years, FOIF took part in the Conference with the booth at Hall 1 C1 010. All latest technology and products were presented here! 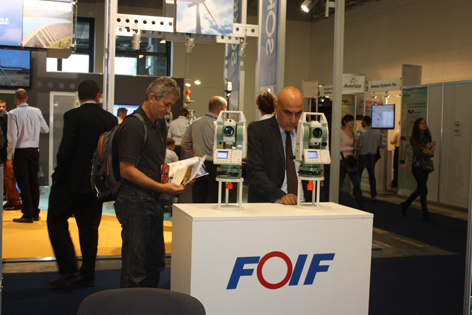 FOIF Stand includes three areas, for total station, GNSS receivers and Levels. 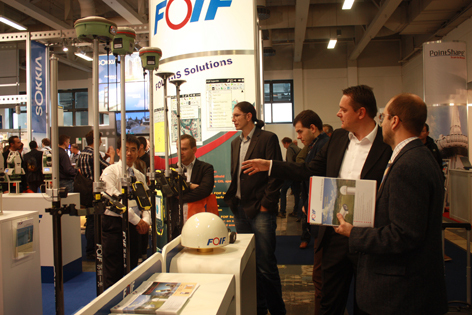 RTS812M, RTS010, RTS350/360, RTS330/340 Total Station were demonstrated in Total Station area. You can see auto-motor drives, 1″ angle measurement, 1000m reflectorless measurement, long range Bluetooth, WinCE operating system on our total stations. For GNSS products, our new generation Receiver A50 with smart appearance and capacity attracts visitors eyes profoundly; A30, F60, A100 CORS, F55/F52 GIS Handhelds also reach the advanced levels in satellite positioning technology. In levels area, digital levels with different accuracy can meet different application, EL03(±0.3mm), EL302A(±0.7mm), EL28(±1.5mm). In these three days of Intergeo we met old friends and got to know new friends, discuss latest technology and share our dreams with all friends! We are very thankful to all visitors for the interest!